Courtesy of FSElite .. a nice scenery coming for the Bahamas very soon... is there any scope for seaplanes too?? 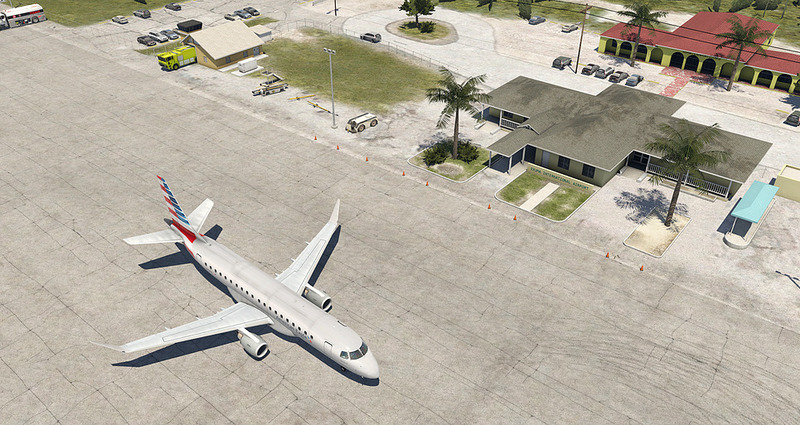 Scenery developer RWY26 Simulations has today announced that they are working on Exuma International Airport for X-Plane. The airport in the Bahamas sees traffic primarily from local islands as well as chartered services to and from the United States. The airport will feature custom 3D buildings and ground vehicles, PBR material work on the textures as well as detailed night lighting.